Once an unquestioned source of economic prosperity, the damage caused by coal to people’s health, natural capital and the global climate has led to closer scrutiny of its impacts. The evidence suggests coal is becoming an unwelcome social and economic burden, and a risk to community wellbeing, the economy and a safe climate. 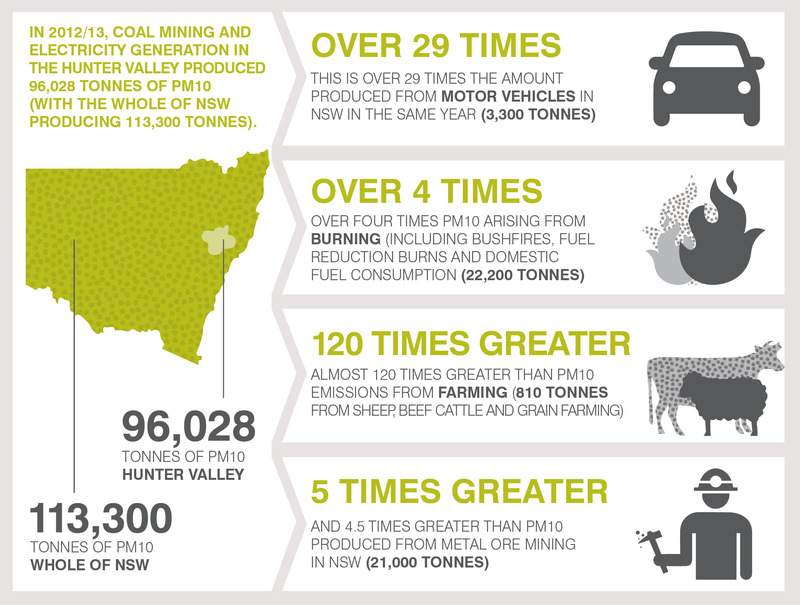 This report, Coal and Health in the Hunter: Lessons from one valley for the world, provides an insight into the evidence of the harm – local, national, and global – from coal production in the Hunter Valley in New South Wales, Australia. 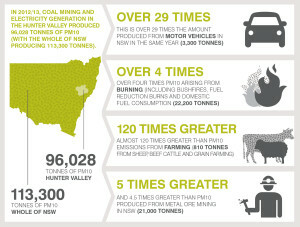 The report looks at the literature on the adverse impacts on physical and psychological health associated with coal mining, transportation and production, as well as the contribution of climate change to health impacts and estimates the health costs associated with air pollution from coal sources in the some communities in the Hunter as well as the social costs of carbon associated with emissions produced from Hunter Valley coal. The report is accompanied by four case studies (including short videos) of individuals and communities affected by coal in the Hunter Valley. 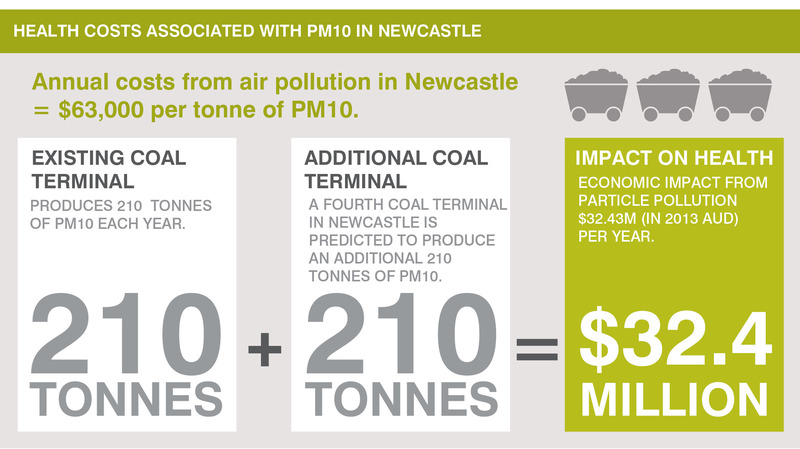 It finds the rapid expansion of the coal industry in the Hunter Valley is out of step with the global requirement to reduce greenhouse gas emissions, and is leading to increasing concerns about adverse impacts on local communities and the state’s economy. Released on Monday, 23rd February 2015. Read the media release here.